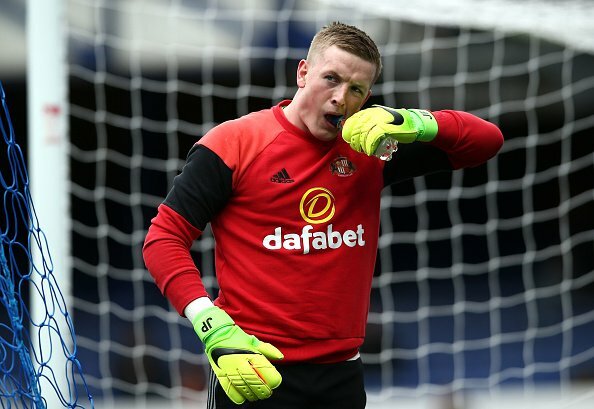 Everton are reportedly considering a summer move for Sunderland goalkeeper Jordan Pickford, according to the Liverpool Echo. The Toffees manager Ronald Koeman is keen to add a shot stopper to his ranks this summer and The England Under-21 international Pickford has emerged as a potential target for the merseyside outfit, while Leicester City’s Kasper Schmeichel is also on the radar. It is believed that the Blues wanted to lure a new shot-stopper to the Goodison Park in the January window, but due to their current number one Robles’s form, the hunt was put on hold. Pickford is considered as one of the highly-rated keeper in English football. He thought to be on the radar of number of Premier League clubs – with Tottenham Hotspur, Arsenal and Manchester City all credited with an interest in the 22-year-old. Everton have kept clean sheets in their last two outings in all competitions.